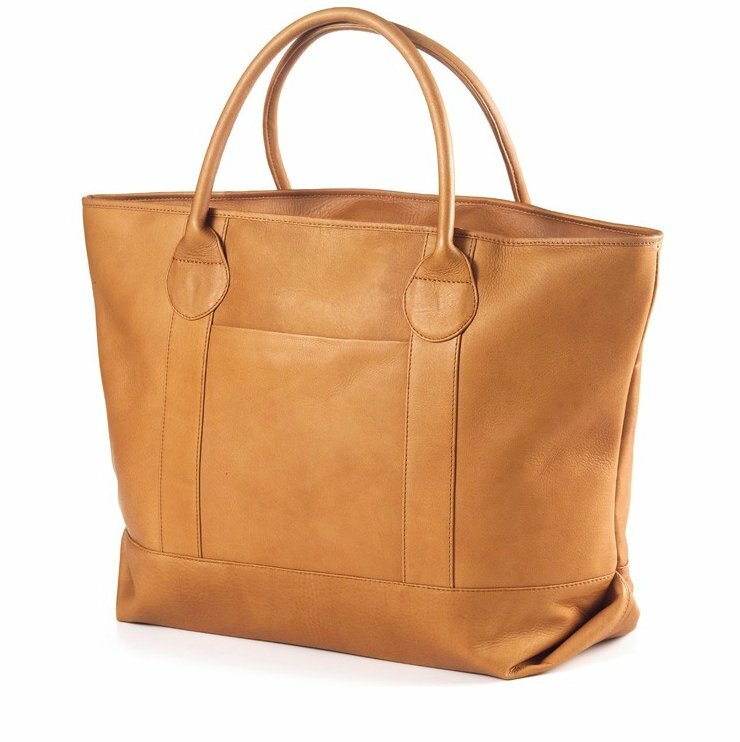 Classic styling makes this leather shopper tote great for work, travel or grocery. 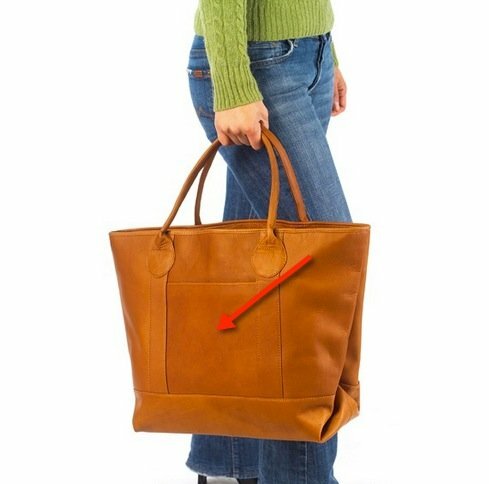 Comes in 3 great colors of black, cafe (rich brown) and tan. Gusseted zip top allows for heavy packing and can be zipped fully shut even when filled to the brim. 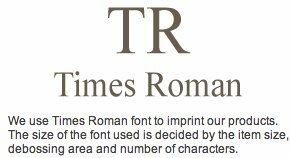 The front slash pocket is where you can add an optional name or 3 letter monogram in a Times Roman font (2 inches down from the seam on pocket; font is half inch tall). Fully lined interior with small zip pocket for securing smaller items. 5.5½" drop on straps allow for hand or shoulder carry. Reinforced bottom for wear and tear. 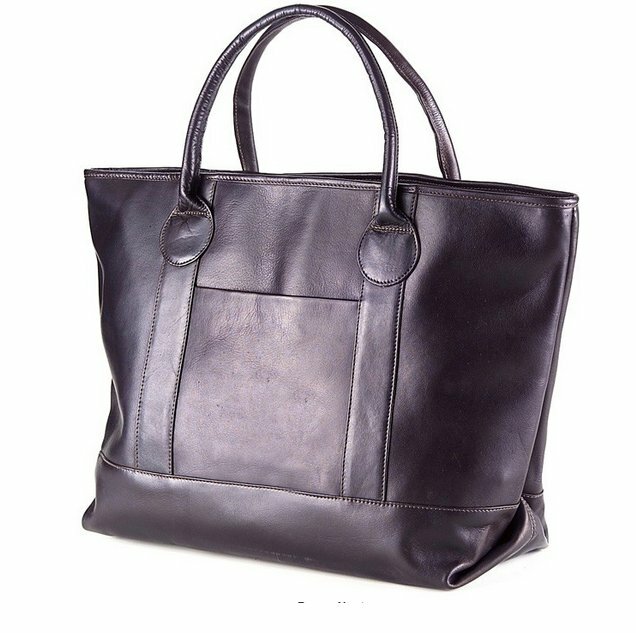 This large leather tote measures 19 x 13 x 6 (at top of bag) which is perfect for carrying work or school items, grocery items, or carry on items for travel. 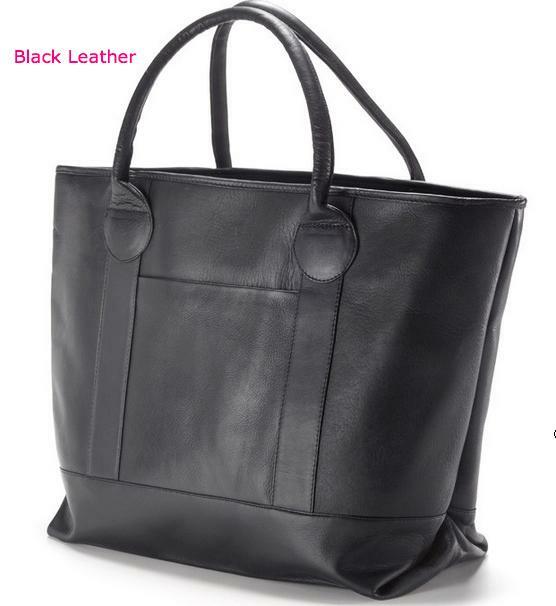 Everyone on your shopping list could enjoy this soft leather shopping tote. 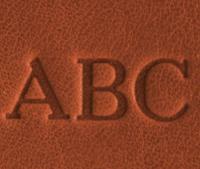 Debossing is a heated stamp that imprints the leather with a monogram (All Caps) or you can do up to 25 characters for a name (first letter is capitalized, the rest are lower case). See side image for debossing. Keep in mind, the longer the name, the smaller the font size. 3 letters offers the largest font size. Font is half inch tall. Price: $193.00 In stock! 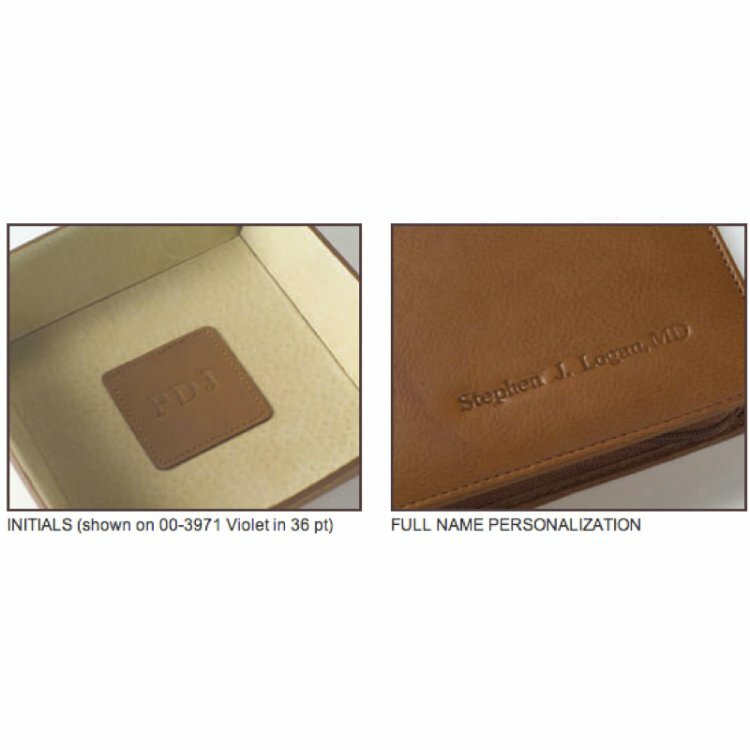 - Browse this brand: The Pink MonogramOur products are custom made to your specifications. This product ships up to 2 weeks after your order is placed.